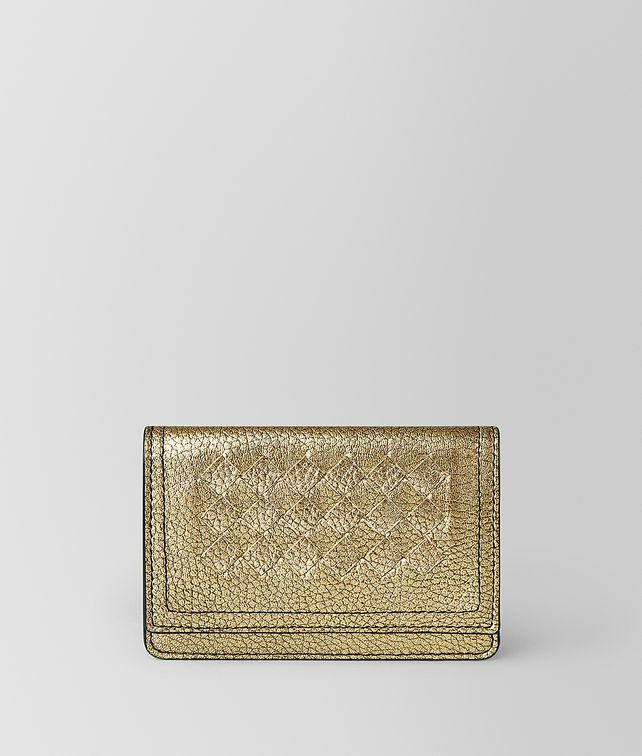 The practical card case turns luxe with calf leather with a distinctive grainy texture and metallic hue. It is detailed with hand-woven intrecciato and accented with black hand-painted edges. Fitted with six card slots and a roomy zip pocket for stowing small essentials.